Willie Seminda Adams Sims, 93, wife of the late Harold Stewart Sims, passed away Friday, January 26, 2018 at Robertson County Health Care. 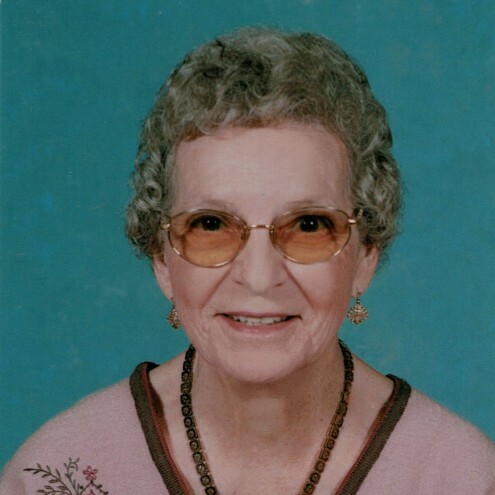 Born March 16, 1924 in Fayette County to the late William Briney & Sarah Elizabeth Gormley Adams, she was a retired educator, having taught 3rd grade in the Harrison County School System for more than 30 years. Willie had been an active member of the Harrison County Retired Teachers’ Association, the Harrison County Democratic Women’s Club and the Cynthiana First United Methodist Church. Survivors include 2 sons: Michael (Patty) Sims, of Morehead, and Barry (Jerri) Sims, of Cynthiana; 2 sisters-in-law, Jane Sims, of Robertson County, and Jesse Adams, of Carmel, Indiana; 4 grandchildren: Amy Jill Sims (Brian) Furnish, Sarah Sims (Chris) Collins, Jennifer Sims (Adam) Dillon and Clarke (Tabitha) Sims; and 15 great-grandchildren. Also preceding her in death were a brother, Robert Adams, and a sister, Peggy Adams Marshall. The family will hold private services with burial following in Mt. Olivet Cemetery.